The $141 billion Future Fund has called for more institutions to follow its lead and invest in the often controversial world of hedge funds to protect against a possible market downturn. The fund’s chief investment officer Raphael Arndt said the sovereign wealth fund was not expecting sharemarkets to fall but was “more comfortable” having 15 per cent of its holdings in hedge funds. The hedge funds use a variety of investment strategies to generate returns, including betting on the direction of markets, stocks or currencies, and have often been blamed by underperforming companies for their share price woes. Dr Arndt admitted that hedge funds had been hampered by an image problem as they were linked with high fees, a lack of transparency and perceptions of poor ethics. Many of their strategies also failed to deliver during the global financial crisis, but Dr Arndt said the industry had changed. “In our experience, the hedge funds depicted in the TV show Billions are no longer relevant for institutional investors, having been replaced by managers making huge investments in data and technology,” he said. Rather than generating huge returns, the Future Fund uses hedge funds to lower risk and provide returns if there are prolonged losses in equity markets. Dr Arndt said the global economy faced headwinds from an ageing population and a significant debt burden but there was reason to be optimistic in the short term. “In particular, the global economy is exhibiting synchronised growth, and the US has been able to absorb a series of interest rate rises without impacting the economy significantly,” he said. But he warned the threat of populism and protectionism was increasing and asset prices remained expensive. Dr Arndt lashed the performance of some parts of the industry, saying the sovereign wealth fund avoided structures where it had to lock up its capital with limited redemption rights. In a warning to other investors, he said some brand-name hedge funds had become too big to be able to move their portfolios around and “too fat and comfortable from their base fees to want to take any significant risk”. He said investors had seen through this kind of business model and such managers were “going out of business at an increasing rate, replaced by managers you have likely never heard of who are happy to stay below the radar”. The Future Fund has been at the vanguard in switching to the new style of investing and has reorganised or sacked managers across more than two-thirds of its hedge fund portfolio, amounting to roughly $14bn. The sovereign wealth vehicle now uses three types of strategies steered by top industry names. 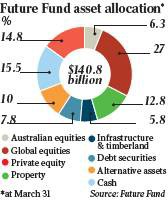 It has macro-directional funds run by well known groups, including GMO Australia and Black-Rock Alternative Advisors. 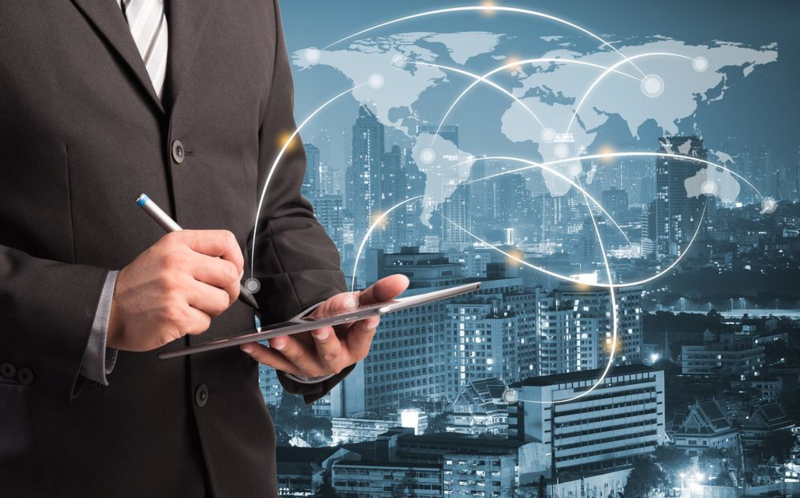 It also has alternative risk premia funds that pick up returns unrelated to financial market assets, such as reinsurance risk, and multi-strategy funds, run by the likes of Citadel Advisors. “Importantly, an effective hedge funds program allows an investor to buy into a down market rather than being a forced seller if we have a repeat of a GFC-like sell-off,” Dr Arndt said.